Swim with dolphins and manta rays and see all the famous wildlife of Assateague. Go whale watching or catch the spectacular sunset over Ocean City's pristine waters. Many spectators flock to the 38th Annual White Marlin Open from August 6 – August 10, 2012 as contestants try to catch the largest marlin, shark and other fish. Prizes go up to $1 million for the largest marlin, and other prizes can total to over $2 million. If you're tight on cash, Ocean City offers weekly free movies Monday and Friday evenings on a 16-foot projector. Bring a chair or blanket and enjoy free concerts every Wednesday night in July and August right on the beach! 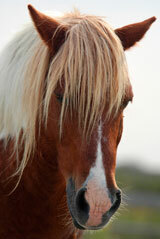 Ocean City now offers horseback riding on the beach during winter to early spring. If you need ideas for more things to do in Ocean City, visit ococean.com for 100 more free activities!